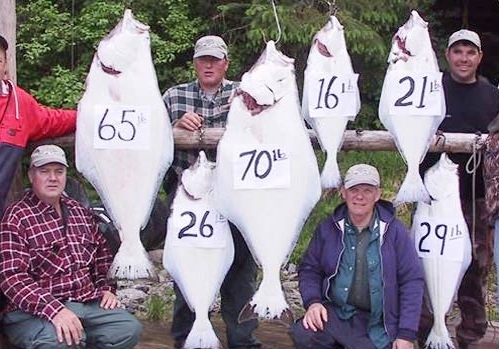 Alaska salmon and halibut fishing trip, including lodging and meals. During King Salmon season we get visitors from all over the world who come to Alaska for the pristine wildlife and abundant fish. We specialize in Alaska salmon fishing trips, but that isn’t the only fish you can find here. The Alaska fishing season is filled with opportunity to catch the fish of your dreams: King Salmon, Coho Salmon, Sockeye Salmon, Pink Salmon, Chum Salmon, Halibut, Cutthroat trout, Dolly Varden trout and Steelhead! The opportunities are almost endless when it comes to an Alaska salmon season fishing trip to Island Point Lodge. 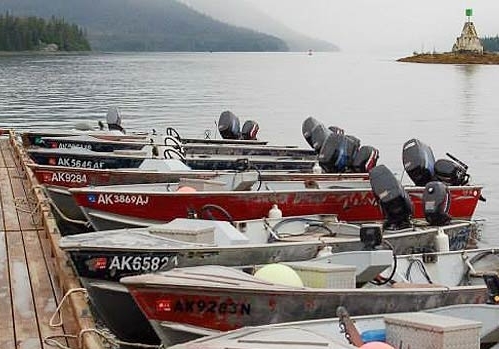 The abundant salmon species, relaxing amenities, and beautiful wildlife viewing that a trip to Petersburg provides are among the top reasons to make Alaska your next fishing destination. Book your stay at Island Point Lodge and experience an unparalleled Alaskan getaway! Give us a call at 1-800-352-4522 to book your next Alaska Fishing trip at Island Point lodge. Troll, spin cast, bottom fish and fly fish. You can make airline reservations yourself, or we can assist you with them. Have the time of your life during the Alaska fishing season on the best Alaska fishing trip! Island Point Lodge located in Petersburg, AK, offers a fantastic week of salmon as well as halibut fishing at an affordable price! Island Point Lodge will make available to our clients all rods and reels for trolling, casting and halibut fishing. You may bring your own reel and use our rods if you wish. The availability of rods and reels will reduce the number of luggage items that you would have to check in with the airlines. We do not supply fly rods and reels. A full hot breakfast is provided daily. Lunch is usually sandwiches which the guest make themselves. Dinner is served early in the evening. Breakfast and Dinner times will be posted by the cook. If you have a special dietary need, please speak to the cook! We will do our best to help you with your request. The Lodge will provide the following beverages: coffee, tea, Tang, and lemonade. We do not provide canned soft drinks or alcoholic beverages. There is a small luncheon buffet available before noon until late in the afternoon for those fishermen that come back to the lodge. Welcome to Your Amazing Alaskan Fishing Experience. Troll, spin cast, bottom fish and fly fish.You can make airline reservations yourself, or we can assist you with them. 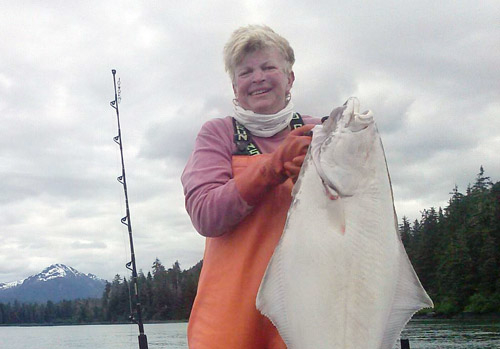 Have the time of your life during the Alaska fishing season on the best Alaska fishing trip! 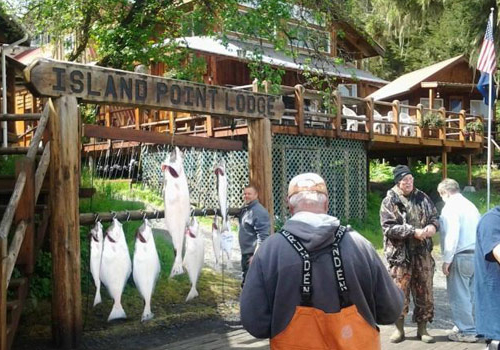 Island Point Lodge located in Petersburg, AK, offers a fantastic week of salmon as well as halibut fishing at an affordable price! Island Point Lodge will make available to our clients all rods and reels for trolling, casting and halibut fishing. You may bring your own reel and use our rods if you wish. The availability of rods and reels will reduce the number of luggage items that you would have to check in with the airlines. A full hot breakfast is provided daily. Lunch is usually sandwiches which the guest make themselves. Dinner is served early in the evening. Breakfast and Dinner times will be posted by the cook. If you have a special dietary need, please speak to the cook! We will do our best to help you with your request. The Lodge will provide the following beverages: coffee, tea, Tang, and lemonade. We do not provide canned soft drinks or alcoholic beverages.